ROAD TOWN, Tortola, VI - The 2016 BVI Spring Regatta and Sailing Festival is gearing up to be a 'Year Not to Be Missed' and the kick-off will be a challenging 31-nautical mile race around Tortola for the Nanny Cay Cup and Nanny Cay Challenge on March 29, 2016. The following day, over 50 boats will compete in the Scrub Island Invitational, a new location for this relaxed race and party afternoon. Eighty boats have registered so far for the 45th BVI Spring Regatta following the Sailing Festival. The Nanny Cay Cup, Round Tortola has become not only an incredible scenic adventure around the island, it is also the Nanny Cay Challenge for the fastest mono and catamaran record around Tortola. If the forecast looks good, there's a chance for entrants to throw down the gauntlet in the hope of smashing the existing record for the Nanny Cay Challenge by setting a new elapsed time as they race round the island of Tortola, starting and finishing at Nanny Cay. As well as competing for the Nanny Cay Cup, the Challenge has fantastic awards up for grabs if a crew breaks the race record; a jeroboam of "Drappier" champagne, dinner for 15-member crew, an offer to donate $250 towards a BVI charity of choice and the bragging rights to the existing record are on the cards for the winning team. The current records to beat are: Monohull record (3hrs 29mins 44secs) set at the 2013 BVI Sailing Festival by Peter Corr's Aiyana, an Alia 82 and the Multihull record (2hrs 33mins 40secs) set by VI's Triple Jack, owned by Richard Wooldridge and Steve Davis. 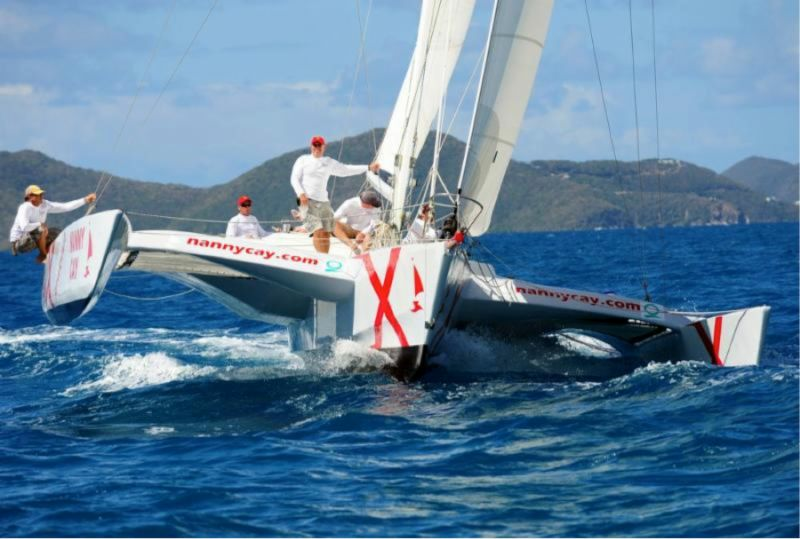 "Nanny Cay has been hosting the Spring Regatta for almost 14 years and we are happy to support the Sailing Festival, Round Tortola Race for the last three years. The format gives an opportunity for more families to come and enjoy the week, see more of Tortola and Nanny Cay. The Nanny Cay Cup will give all competitors a different view of the island. 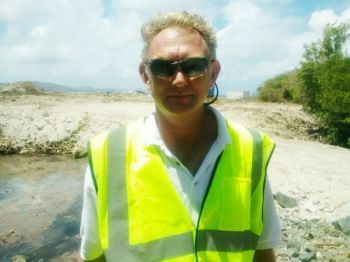 Adding in our Nanny Cay Challenge for the fast record around the island is really exciting," commented Miles Sutherland-Pilch, General Manager, Nanny Cay Resort and Marina. Scrub Island Resort, Spa and Marina, a private-island resort in the [British] Virgin Islands will be the host sponsor on March 30, 2016 for the Scrub Island Invitational. Multihulls, Jib and Main, Racing and Cruising boat classes will race from Nanny Cay Marina to Scrub Island, winding through many of the lush islands, offering breathtaking panoramas of sun, sea and sky. The exact course will depend on weather and conditions, but race officials expect the boats to arrive at Scrub Island Resort around 1pm. Upon conclusion, Scrub Island Resort will host a special luncheon and party for the crews, their families, friends and race officials on the Grand Pavilion Patio, Pavilion Beach and lower level of the main resort swimming pool. Music, games and specialty drinks will make the afternoon festive for both participants and resort guests. Additionally, Dr Nicolle Schultze, will be the official chiropractor for the Scrub Island Invitational. "It's a privilege for Scrub Island Resort to be included in what is the premier yachting event in the British Virgin Islands," said Joe Collier, President of Mainsail Lodging and Development, the owner and operator of the resort. "As title sponsor, we're delighted to showcase our private island resort to an exclusive audience who may not yet be fully familiar with our five-star facilities, spectacular villas, impressive deep-water marina and slate of real estate offerings." "We are happy to welcome Scrub Island Resort and Marina as our host sponsor for the Island Invitational race. The Sailing Festival gives additional opportunities to our sailors to see more of the British Virgin Islands. After a morning race through the East islands, we are sure Scrub Island will provide all the racers, friends and family with a relaxing, fun and wonderful day," commented Robert Phillips, BVI Spring Regatta Chairman. Too bad that there is to BVI belonger teams in it. Something Positive. Day by day good things happening..